Big Little Lions are a remarkable songwriting duo. Helen Austin and Paul Otten actually live in two different places – Helen on Vancouver Island, and Paul in Cincinnati OH, and send song ideas back and forward as they work on them, individually and together. 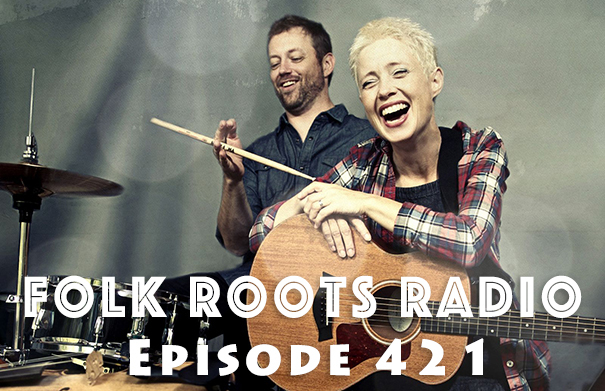 Helen and Paul from Big Little Lions sat down with Jan Hall from Folk Roots Radio at the 2018 Folk Music Ontario (FMO) conference to chat about their music. Check out our full interview with Big Little Lions HERE. Wondering what we chatted about during our previous conversation at FMO? – you can find that interview HERE. Visit Big Little Lions online at biglittlelions.com. Interview: Big Little Lions recorded at the 2018 Folk Music Ontario conference.